Get in touch with College Tutors today to begin prepping for the ACT. Check out our FREE practice test dates to get you started. We love celebrating moms every day! Make this Mother's Day extra special with one of these awesome weekend events! Spring has sprung here in AZ! Get into the spring spirit with these fun craft ideas!! Celebrate Children's Dental Health and WIN! February is National Children’s Dental Health Month! 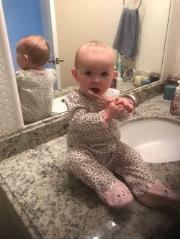 We know it can be tough getting your little ones in the habit of brushing (and flossing) twice a day. That’s why during this month we want to help encourage healthy dental habits with our littlest brushers! Read on for some creative ways to make brushing fun! Get into the holiday spirit this weekend by visiting some of these valley attractions! Today is National Pumpkin Day! 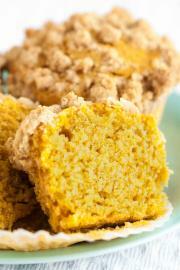 Celebrate with some of our favorite pumpkin based recipes! It’s half way through October, which means we are almost to Halloween! 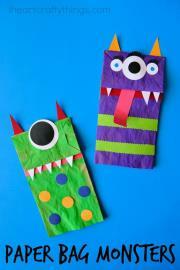 How many Halloween crafts have you and your kids made this October? Check out some of our favorites! Halloween Costumes for your Little Monster! Need a little inspiration for this year's Halloween costume? Check out some of our favorites. 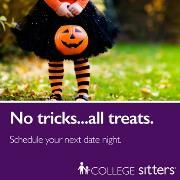 There's sure to be the perfect costume for your little monsters! Now that fall is here it's time to get in the spirit! Check out some awesome fall + Halloween themed events around the valley! With tests, projects, and nightly homework, the school year can be tough! Check out some of our favorite ways to be a successful students no matter what grade you’re in!